So, you just got a puppy for the Holidays. I bet you are very happy. But before anything else, it is only logical that you consider training your dog. Dog training is a rewarding experience not only for your dog but also for you. 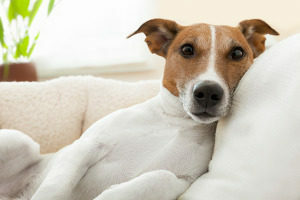 While human members of the family need to be familiarized with household chores, so do your dogs. As a first-time dog owner, how do you train your dog? There are so many tricks that you can teach your dog but there are certain basic things that you need to know in order for your dog trainings to be effective. 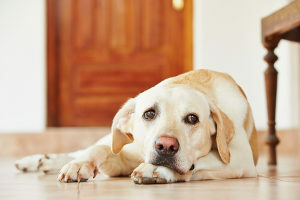 Dog training can be overwhelming during the first few days of training. Truth be told, dogs don’t really know what it is that you want them to do and that it takes small steps to be able to train your dog. The first thing that you need to do is training your dog on how to be obedient. The cornerstone of good behavior for dogs is teaching or training them to be obedient. It is key to note that most dogs flourish with predictable and boundary routines. If you don’t teach them how to obey, they won’t know how to behave. There are so many techniques to coach your dog and you can hire a professional dog trainer or enroll your dog in a dog training class. But what if you want to do it by yourself? Yes, there are a lot of people who have successfully trained their dog by themselves. You don’t actually need out-of-this-world gadgets to train your dog to be obedient. Simple tools like a dog collar, leash, and clappers are what you would need. But most importantly, make sure that you reinforce every positive behavior that your dog makes. Training sessions with your dog should last between 10 and 15 minutes, around two to three times a day. This is very important particularly for puppies as they have a very short concentration span–much like children. Even adult dogs become bored with long training sessions. During the training session, start by teaching basic commands like sit, lie down, stay, or come when called. It is crucial that you just teach one action or trick with every training session so that your dog does not get puzzled with too many instructions. If you think that your dog has already mastered one trick, try to introduce another trick slowly. There is no standard number of sessions that you can follow so that your dog will become properly trained. The success still depends on the skill of the trainer as well as the receptivity of your dog. Some dogs might only require a couple of weeks while others need more. Be patient and consistent! The use of positive reinforcement is very crucial in training your dog. This means that you are rewarding the positive behavior of your dog. There are so many ways to do positive reinforcement but the most effective include treats, praises, and games. Clicker training is a great way to do positive reinforcement. But more than rewarding your dog, positive reinforcement also allows you to communicate to your dog and let him or her know what you want by giving rewards. In fact, it is more effective than punishing dogs as they—more often than not—get confused on why they are being punished. Training does not need to be boring for you and your dog. It can also be fun if you use games. While serious training is important for your dog to learn tricks, it is also crucial for them to have fun. Playing games with dogs builds rapport and deepens your relationship with your dog. It also builds trust between you and your canine friend. Examples of fun games that you can use to train your dog include hide and seek, fetch, tug-of-war, find the treat, and even dog sports. 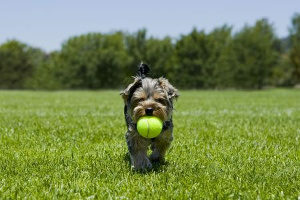 However, playing dog sports require special facilities that are only available in many dog training clubs. You can even take your dog to frequent walks to train them especially when it comes to socializing with other dogs. Training your dog can be challenging but keep in mind that it is necessary so that your dog will be disciplined. If you live in Northern Virginia area, you can seek help from Local Paw Pals not only in training your dog but also for dog walking and sitting services.